Packing household appliances is disheartening. You need to come up with different means of protecting each and every one of them when relocating. It goes without saying packing supplies never seem to be enough. The vicious circle of moving blankets, crumpled paper and sealing tape keeps you on edge all along. Not to mention bubble wrap, paper pads and the sea of moving boxes. What’s more, you’re drowning in packing peanuts. On the other hand, packing household appliances is nerve-racking due to the myriads of loose parts. There might be more to disassembling and reassembling the appliances from scratch than meets the eye. Therefore, a meticulous approach can go a long way. Compiling an inventory list comes in handy as well. Having said that, here’s a list of ways of how to pack household appliances. It’s undeniable we all have a plethora of possessions in our homes. We have been hoarding them over the years. But, as the moving day is approaching, we become a bundle of nerves. For that reason, we may accidentally take no notice of some smaller kitchen belongings. The magnificent grandma’s coffee cups for example. By the time we realize that it’s already too late. 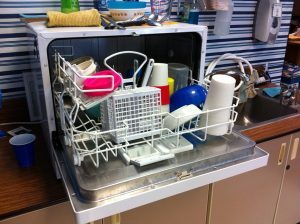 Moreover, doing several moving tasks simultaneously might cause absent-mindedness. Still, if you want to have everything under control, compile a moving inventory list. First and foremost, write down every item you need to pack. Then contrast it with your belonging making sure they match. Organizing your items like this will contribute to having them mentally packed. At least you’ll know they are all accounted for that way. Furthermore, you may benefit from using crumpled paper to protect your objects box by placing it around them to fill the space. It is a rather useful way of how to pack household appliances. A further advantage of crumpled paper is it keeps your items immobile thus making them safe. The movers will unquestionably use crumble paper to safeguard your belongings if you opt for professional packing services Miami, for instance. What’s more, you can as well use crumpled paper to enhance the potential colliding impact absorption. In this case, you need to put a few layers of it both to the top and on the bottom of a box. Moreover, as we live in an eco-friendly era, it is of paramount importance crumbling paper is completely recyclable. 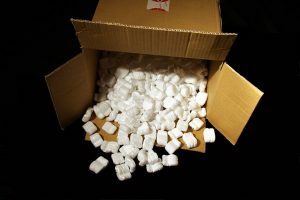 Packing peanuts are a convenient method of cushioning your items during relocation. They are small and soft. As a consequence, they providing an outstanding way of filling the space between your items to make them stable. However, there are certain kinds of biodegradable packing peanuts that weigh more. This is all-important in case of a long-distance move. Why? Because it makes the shipping price higher. Any Miami moving and storage company will vouch for it. Given packing peanuts prevent the items from moving, chances are they will reach the new destination intact. This material is commonly used in case of fragile possession relocation. Correspondingly, colliding won’t cause detrimental effects to the belongings. On the downside, they fail to decompose easily. As a result, they do not contribute to environmental preservation. If you want to keep your items scratch-free, you should use paper pads. Being very delicate, paper pads will protect their surface thus keeping them safeguarded. They are an excellent choice when it comes to protecting electrics. It is a weight off your mind knowing your hair dryer, juicer or toaster is gently wrapped in paper pads. Additionally, they preserve wooden belongings. Paper pads excel in protecting bigger wooden surfaces such as doors and floors. It is common knowledge any scratch can harm their quality thus reducing the moving services prices. For that reason, you need to make sure they are safe. Correspondingly, paper pads are what you should opt for when it comes to how to pack household appliances. Lastly, what gives them the edge over other packing materials is an extra protective layer. This is especially important if you have chosen a DIY relocation. Moving blankets are great in terms of packing larger household appliances such as furniture or refrigerator. They are thick enough to protect them from any transport, weather or collision ill-effects. Hence, your items will be safe when moving. If you put items between the moving blankets’ layer you can rest assured they will be in one piece. A further advantage is that they are cost-effective. The set of 12 moving blankets costs around 40$. 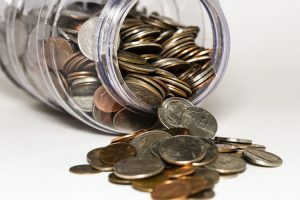 When you do the math, you realize it is more affordable to spend that amount of money so as to protect the items as opposed to buying the new ones. So, you are being penny-wise. Finally, a penny saved is a penny earned. To sum up, packing household appliances daunting. Firstly, there are myriads of them to relocate hence it is time-consuming. Next, you need to pay attention to how you pack them in regard to other items. You are, therefore, ill-advised to combine a refrigerator with easily breakable coffee cups. If you do so, odds are the cups will be smashed into pieces. So, you have to be very good at organizing packing boxes. Then, you have to choose a suitable packing method matching the belongings. It will give you a piece of mind to know how to pack household appliances. For example, you can’t use moving blankets to protect silverware. Also, fragile items require to be handled with special care. Moreover, make sure to disassemble the parts of the belongings prior to packing them. Otherwise, they can easily get damaged while being transported.